Born in Chicago and raised in Milwaukee, Wisconsin, Frank Caliendo began his career in comedy shortly after graduating from the University of Wisconsin where he majored in Broadcast Journalism. Though he had spent the good part of his childhood entertaining friends and family with his uncanny impersonations, Caliendo had never considered earning a living from his talents. During his youth, Caliendo dreamt of someday becoming a professional baseball player. In 1988, he was part of the prestigious Amateur Athletic Union/Junior Olympics National championship baseball team as a catcher and outfielder. From that competition, Caliendo was selected as a member of the AAU/All American baseball team. In 1992, Caliendo returned to the AAU National tournament and placed second. He was again chosen for the All American baseball team. After high school, due to injuries, Caliendo chose not to pursue a career in competitive sports, instead focusing his attention on academics. His first job as an emcee at a local comedy club led to stand up comedy and within a short period of time he was headlining at comedy clubs around the country. Caliendo’s niche was found performing on the college comedy circuit. Within the past few years, he has performed at over 300 universities and was nominated for College Comedian and Entertainer of the Year by the National Association of Campus Activities. It was only a question of time before Caliendo would join another comedy television program. This year, he became a series regular on Fox’s “Mad TV.” Each week the young comedian displays his amazing array of impersonations (including Robin Williams, Al Pacino and John Madden) and characterizations that undoubtedly add spark to each and every sketch. Caliendo has also crafted a significant national radio presence on morning shows across the country where his special brand of humor reaches millions of listeners. Caliendo has also been seen as “John Madden” running for President, punching out Dennis Miller, barbequing with Emmanuel Lewis at Jimmy Kimmel’s house, and stuffing a chicken into a duck into a turkey into a cow on Kimmel’s “Pre-Game Picks” segment on “The Fox NFL Pre-Game Show.” In his limited spare time, Caliendo enjoys playing video games, watching sports, settling into his new house in the Hollywood Hills and working on his website, with his brother, Terry. Do you want to hire Frank Caliendo? Directly request a quote. In 48 hours we can send you the availability of Frank Caliendo If you would like to book Frank Caliendo, Entertainment Booking Agency is the right place. 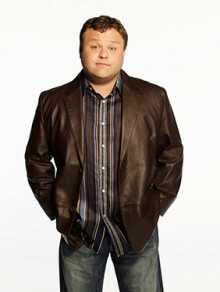 We will offer you the best price and contact the management or we directly contact Frank Caliendo. For corporate appearances or speaking engagements you can contact our agents and the will help you true the process. Tags: hire Frank Caliendo, Frank Caliendo booking, book Frank Caliendo, Frank Caliendo appearances, find more information on booking Frank Caliendo for appearances, Frank Caliendo speaking engagements, Frank Caliendo endorsements/spokesperson, Frank Caliendo appearance fees, Frank Caliendo booking agency contact info, biography of Frank Caliendo, Contact an artist booking talent agent find a speakers bureau that can book Frank Caliendo, speaker booking agency for Frank Caliendo, Frank Caliendo booking agency, Frank Caliendo booking for corporate event. EBA is one of the biggest entertainment booking agencies in the World. We book hundreds of celebrities, artist, athletes and speakers in a year. Important to know is that we are not claiming to be the management of Frank Caliendo. We are not the official agent for Frank Caliendo. Companies from around the globe book these artists and speakers true our company be course we have one of the biggest networks and we always have direct contact with the artist or the management. We help you to find the right celebrities for your corporate of private events. Please contact one of our agents to get free advice and we will help to get the world-famous artist on your party.